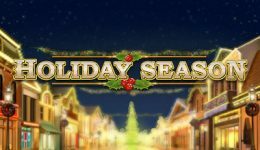 Bgo.com are getting into the spirit of the season with some exciting festive offers. Unlike the ‘Big Guy’ they’re not waiting until the 25th December to dish out the presents. Instead they are going to send players a new offer to unwrap every day until Christmas! These gifts could be anything from Free Spins on the latest slot games, to a cash bonus. There’s even the chance to enter prize draws where they could win fabulous goodies like iPhones, TVs and iPads. To participate players simply need to open The Vault each day and give the Bauble they find inside a click to reveal their daily offer. This promotion is available to both new and existing UK players, and valid until 25th December 2018. Note that terms will apply and these will be outlined with each daily offer. Whilst visiting Bgo.com you might want to check out the latest slots. These include a new festive game from NetEnt and another in the populat Monopoly series from NextGen Gaming! Step inside Santa’s workshop to play Jingle Spins, a festive video slot from NetEnt. It comes with 20 bet lines, a jolly soundtrack and a generous 96.48% RTP. There’s also an awesome bonus feature operated by Santa Claus himself. Watch Santa load up his Christmas Bauble Wheel with prizes, including Free Spin Baubles, Spreading Wild Baubles, Coin Win Baubles and Surprise Baubles. He’ll then shoot them to his elves sitting above the reels as you spin. If a Wild Symbol lands on the reel below an elf holding a Bauble, you’ll win the prize inside! Get ready to ride the tiger in this oriental-themed video slot by Playtech. 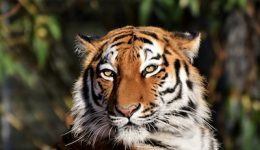 Boasting an exotic soundtrack, the game immerses you in the tiger’s jungle home to hunt for big wins. You’ll benefit from 20 bet lines of action on every spin as well as a promising 94.13% RTP. Look out for high-paying Tiger Symbols that can appear stacked on all reels for mighty rewards. Or land 3 Ruby Scatters on a single spin to unleash the Tiger Free Spins Bonus. 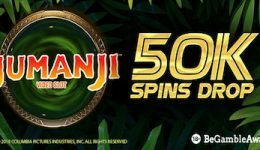 Watch as Wild Symbols are added to reels after every free spin – helping you to keep sinking your claws into bigger and better prizes! The famous Mr Monopoly is back with another chance for you to win big thanks to NextGen Gaming. As you’ve probably guess from its title, this Monopoly slot game is all about the 250k Super Jackpot! But that’s certainly not the only reason to play. There’s also a Big Bonus Wheel to look out for. Give it a spin to win access to Bonus Games loaded with prizes, including the Free Parking Bonus, the Railroad Bonus, the Electric Company Bonus or the Go to Jail Bonus. The wheel could even land on an instant cash prize worth anything from 100x to 4,000 your bet. Based on the famous Christmas fairytale, iSoftBet’s The Nutcracker is a 20-payline slot that’s great to play whatever the time of year. Watch the Sugar Plum Fairy grant you access to her Free Spins Bonus. She’ll give you up to an initial 30 Free Spins to play with – and let you win more throughout the bonus! During the main game, The Nutcracker himself can also march on to the central reel to award you his Nutcracker Gift Bonus. Crack open up to 10 Free Spins, during which The Nutracker will remain locked in place to help you find bigger and better wins. He’ll also make sure all winning symbols lock in place before generating another free spin of the reels!